Today, numerous exchange programs are available in Japan aimed at promoting mutual understanding with people throughout the world. One of these programs is the Japan Outreach Initiative run jointly by the Japan Foundation Center for Global Partnership and Laurasian Institution in the U.S., a program for the deployment of grass-roots Japan-U.S. exchange coordinators. 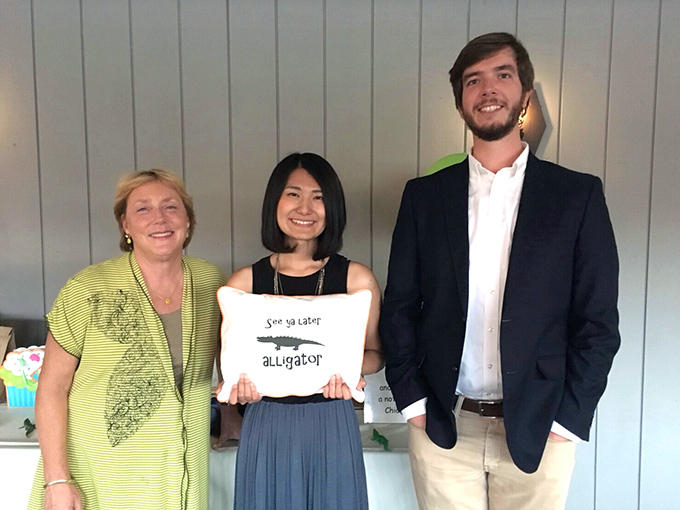 This program, also called JOI (pronounced the same as "joy"), the abbreviation of the program name, deploys Japanese coordinators from Japan to the U.S. for two years to promote deeper interest and understanding of Japan through exchange activities rooted in the local community. The program is entering its 15th year in 2017, having started in 2002. 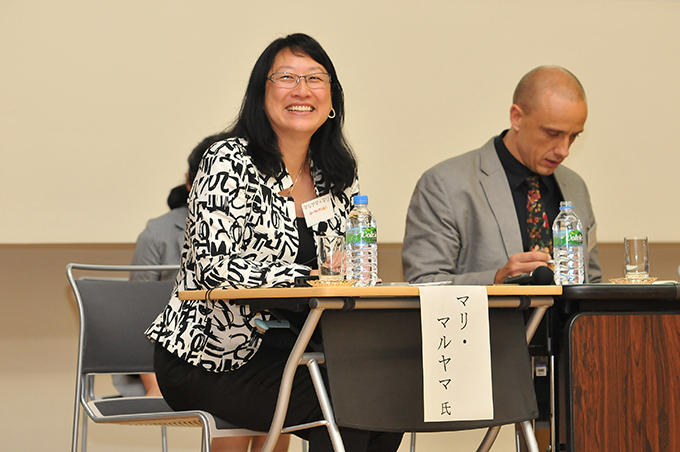 In October 2016, a symposium was held at the Japan Foundation Japanese Language Institute, Urawa in commemoration of the 15th year, entitled "The Value of International Exchange in the Community." In this issue we will introduce the activities of the JOI coordinators and some of the statements by the panelists at the symposium. The symposium entitled "The Value of International Exchange in the Community" held on October 1, 2016 at the Japan Foundation Japanese Language Institute, Urawa in commemoration of the 15th year of the JOI program. The coordinators selected for the grass-roots Japan-U.S. exchange under the JOI program are individuals motivated to engage in international exchange who, having developed an interest in interactions across boundaries through study abroad experiences, wish to introduce the people of the world to Japan and to spread awareness about the Japanese culture in other nations. The locations JOI coordinators are deployed to include regional cities in the mid-west and southern parts of the U.S., where exchange with Japan is relatively limited. 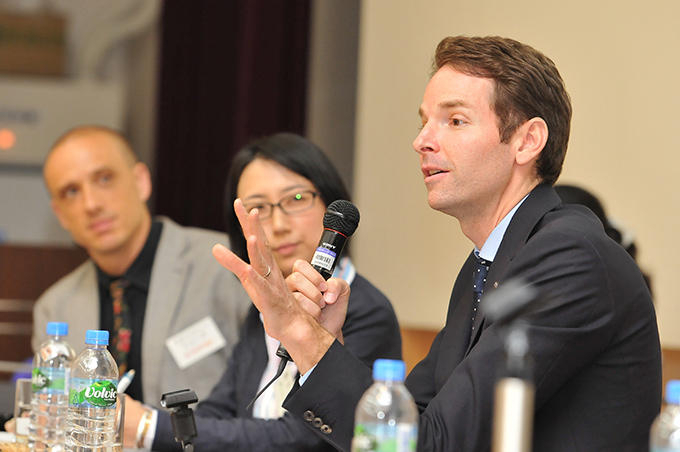 Based at local universities or Japan-U.S. associations, the coordinators visit local schools and communities to conduct outreach activities (to introduce Japan and engage in mutual dialog), presentations, workshops, and events, in order to inform about Japanese daily life and society, traditional culture, and the Japanese language. Over the past 15 years, the program has seen the participation of roughly 60 volunteer coordinators who have communicated about Japan to over 850,000 Americans. What exactly are the specific activities being carried out by the JOI coordinators throughout the U.S.? The reader will likely understand these activities through the reports of the three coordinators who recently returned from the U.S., where they served to bridge the cultural divide, after finishing their two years of the 13th JOI deployment in July 2016. 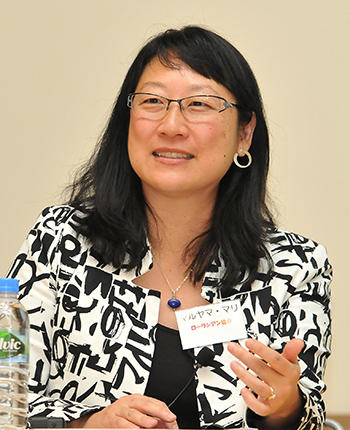 Chieko Iwata provided support for exchange students and host families as the branch manager of a program for high school exchange students from overseas. She also carried out activities to introduce Japan. She came to know about JOI while learning about Japanese Language education and applied to become a coordinator. Chieko Iwata was deployed to Mississippi State University in Starkville, Mississippi, a city in southern United States. The relationships of trust fostered with the community members in the U.S. are an irreplaceable treasure. During the first year as a coordinator, I carried out workshops primarily in the community and at the university. The workshops covered such topics as Japanese tea ceremony, calligraphy, origami, kimono wearing, and Japanese business manners. The workshop participants were students, home-schooled children, and the general public, and I was pleased when students made an effort to attend every workshop saying comments such as, "I always wanted to learn more about Japan." During the second year, I engaged in outreach activities for students at the university studying in the art, fashion, and international agriculture departments. As the topics of these activities included Japanese tea house and gardens, family crests, ukiyo-e, and the Japanese communications style, they were a great learning experience for me. The sense of trust I developed with my friends in the community cultivated over the two years of activities is simply irreplaceable. One of those friends informed me about the exchange of drawings made by elementary school students in Mississippi and Tokyo in 1951, in the aftermath of WWII. I was later blessed with the opportunity to give a presentation in Japan about this elementary school in the U.S. that taught about the importance of peace, an opportunity brought about after I was asked to give advice for a musical performed by students in English and Japanese. The musical, entitled Sadako to Senba no Orizuru [Sadako and one thousand paper cranes], featured traditional Japanese games and songs. 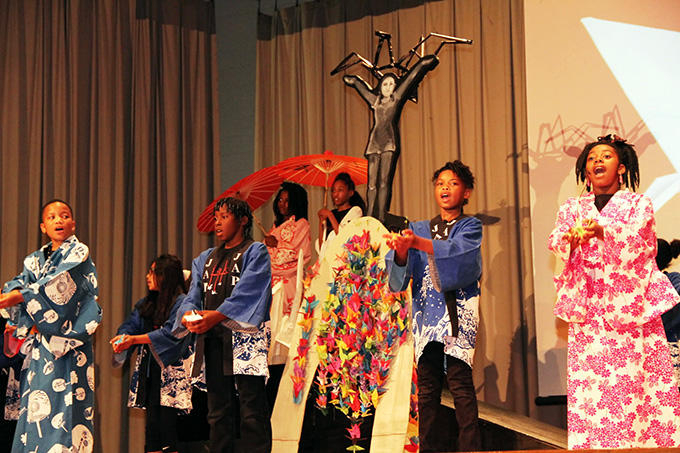 Sadako to Senba no Orizuru, a musical featuring traditional Japanese games and songs, performed by elementary school children from Mississippi. Learning about the history of the atomic bombings in Japan through the musical, I imagine the students became aware that there is no country in the world where the people do not wish for peace. I later contacted the Japanese media with the hope of informing Japan about this initiative, and an interview was subsequently published in a Japanese newspaper. The musical was performed around the time that former President Barack Obama became the first U.S. President to visit Hiroshima. I was particularly touched by some of the students who expressed a desire to know more about the speech given by President Obama in Hiroshima, demonstrating the rise of their awareness. I feel that I was able to deepen the bonds between Japanese and Americans during my two years of activities. After working as an English teacher at a public junior high school in Nagano prefecture, Chiaki Tokiwa joined the Peace Boat's Global Voyage and visited 20 cities on the organization's cruise around the world, allowing her to experience the fun of inter-cultural exchange. She learned about JOI after finishing that tour, and decided to apply. My greatest takeaway from the activities was that JOI is the job of bringing people together. My most memorable experience during my two years was the introduction of the "yuru-chara" concept. The benefits of a yuru-chara is that one can understand the specialties and history of a region at a glance. I created a local yuru-chara with students as part of my activities. In the process, I learned that Chesterton, a town in Indiana, is famous for its sand dunes and steel industry, and when I visited Bloomington, I learned that it is famous for coal mines. The eyes of the students light up as they teach me, having little knowledge of Indiana, about the famous local products. Through the experience, I was able to use yuru-chara to teach about Japanese culture while deepening my knowledge of Indiana. 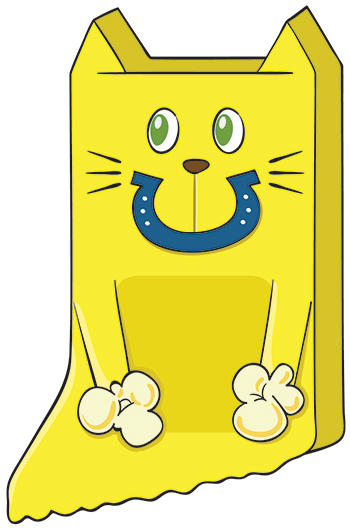 The "Hoosier Nekko" is a yuru-chara for Indiana I created with the students. We also created a "Yuru-chara prefectural map" for Japan to show at the International Festival held annually in Indianapolis. We set up a booth where participants could vote for their favorite yuru-chara. I feel that this experiment at the festival led to many new connections by expanding the topic of discussion with visitors, such as the family who tried hard to guess what each prefecture was famous for by looking at the map, or the visitor who voted for the character for Chiba because they had once lived there. I also created a yuru-chara for Indiana and put it on display. I named it the "Hoosier Nekko." "Hoosier" is a nickname referring to people from Indiana. I hope that one day the Hoosier Nekko becomes the official yuru-chara of Indiana in order to further deepen the bonds between Indiana and Japan. Just five days before I returned to Japan, the members of the Japan-America Society of Indiana where I was deployed held a going away party for me. They told me that my coming there had enabled them to connect with new people and places. Meetings and new connections between people give rise to the new power of friendship. During my two years, I made countless wonderful friends of numerous different nationalities. Some of the friends I made from the Japan-America Society of Indiana through JOI. During my two years of activities, many people asked me, "What is the JOI program?" My answer was that "JOI is a job to bring people together." I don't think you could put it any other way. Tadashi Nomura worked in the finance and manufacturing industries for almost 40 years. During that time, he had opportunities to live and visit many places including the U.S. and countries in Asia and Europe. 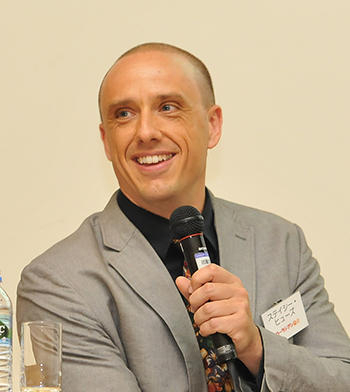 Over time, his desire to teach about Japan overseas grew stronger, and he ultimately applied for JOI. Tadashi Nomura applied for JOI after a 40-year career in the finance and manufacturing industries. I realized the importance of Japanese people proactively opening up dialog in their own words. I gave lectures on Japanese politics and economics at Creighton University, where I was deployed. I also had the opportunity to give a lecture at the University of Nebraska on the post-WWII Japanese recovery and subsequent political and economic transformation. 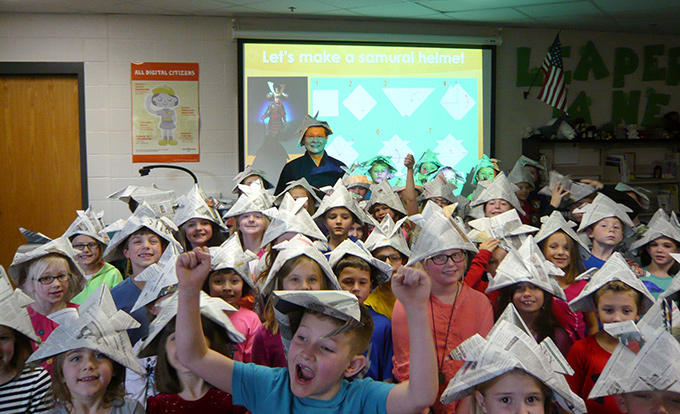 While the students are in daily contact with numerous examples of Japanese products and culture, their understanding of Japanese history and current affairs, and of Japan-U.S. relations, is quite limited. They may have heard the names Hiroshima and Nagasaki, but that is the limit of their knowledge. On many occasions I spoke with the students about how Japan rose from the ashes after WWII to become an economic power, a nation of peace, and an ally of the U.S. I realized the importance of Japanese people proactively opening up dialog in their own words. The year 2015, just as I began the second year of my deployment, was the 50th anniversary of the establishment of the sister city relationship between Omaha and Shizuoka. 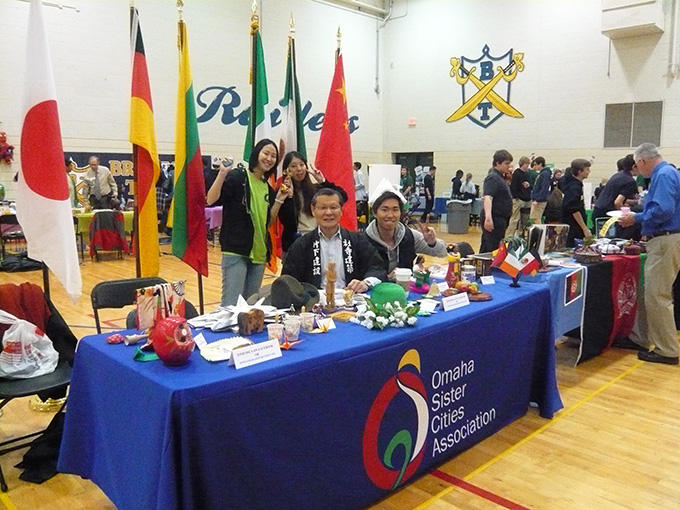 Omaha has sister city relationships with cities in six countries throughout the world, and they have maintained very close relations with Shizuoka for 50 years. Omaha and Shizuoka have maintained close inter-city exchange for 50 years. The greatest fruit of my two years was the opportunity to experience true grass-roots Japan-U.S. exchange through involvement in numerous events related to the 50th anniversary. 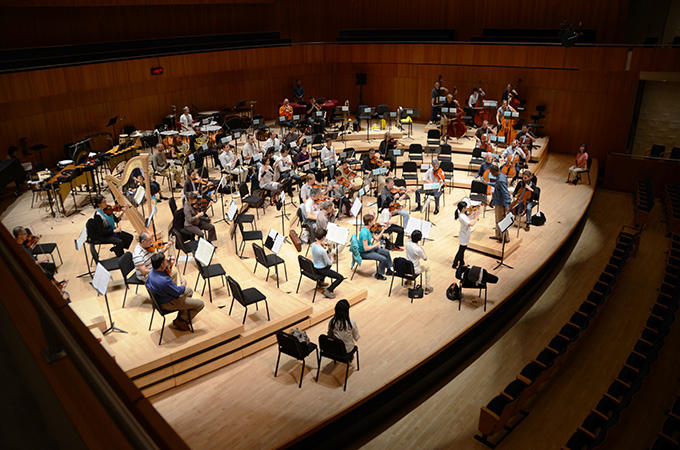 During the year beginning in the summer of 2015, I was involved in the joint concert between the Omaha Symphony and the Shizuoka Philharmonic Orchestra and a visit by residents of Omaha to Shizuoka. The key to arranging these major events was the smooth exchange of opinions between the residents of both cities. I served as a bridge to facilitate that, and I am very grateful that I was able to assist in further strengthening the trust and bonds between the two cities. Familiarity is born when people of different countries come together and deepen their mutual understanding. Next we will introduce some of the statements made by panelists at the 15th anniversary symposium. The theme of the symposium was "The Value of International Exchange in the Community". 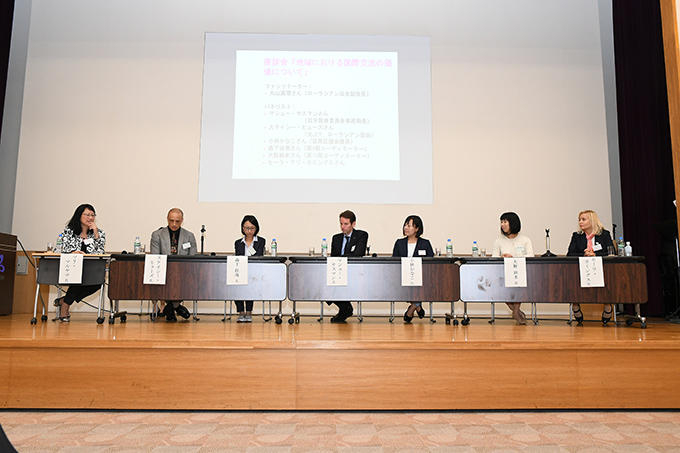 The five panelists were Matthew Sussman (Executive Director, Fulbright Japan), Kanako Kobayashi (council member for Meguro City, Tokyo), Kana Morishita (Coordinator in the 8th JOI deployment), Asami Ono (Coordinator in the 10th JOI deployment), and Stacy Hughes (Coordinator for Laurasian Institution). 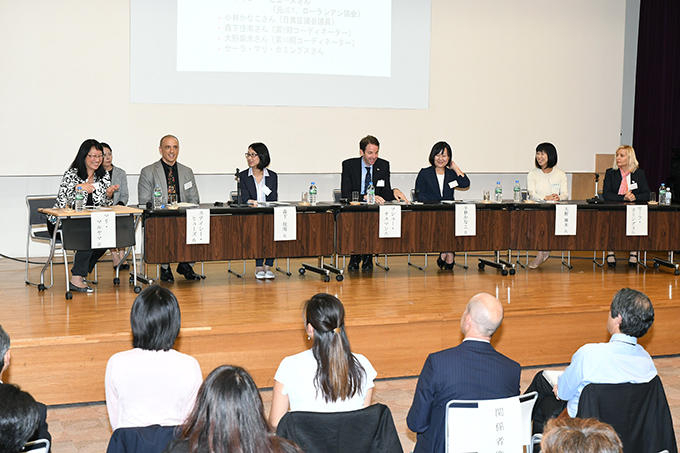 The symposium featured a lively discussion on the meaning of international exchange from the standpoint of both Japan and the U.S.
What is the purpose of working for international exchange in Japan and the U.S.? 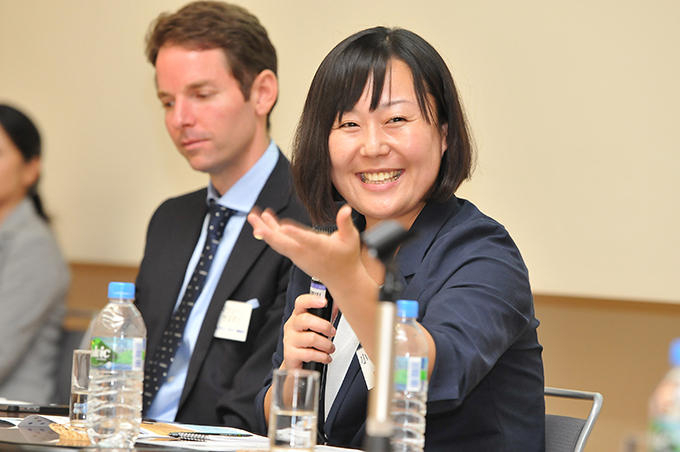 Each panelist gave their views facilitated by Mari Maruyama, Vice President of Laurasian Institution. Maruyama: The act of traveling to regional cities in the U.S. to carry out activities on the part of the JOI coordinators brings out a desire among the American people to learn more about Japan. It is also important for the returning coordinators to talk about their experiences to those around them to teach them about the U.S.
Sussman: Speaking of my own experience, a male Japanese exchange student stayed at my home for two months when I was 10 years old. I remember spending time with him as though he were my brother, going to the beach or riding bicycles together. So I was very lonely when he returned to Japan. Unfortunately, we did not continue to contact each other after that. However, I later got a chance to meet up with him again. I visited Japan for the first time when I was invited to his wedding, around the time I graduated from college. I spent two weeks in Japan. I stayed at his home and experienced crouching down to fit in the small bathtub, and sleeping on a futon. My legs stuck out of the futon about half way (laughs). Everything was a first for me then. The experience was very stimulating for me. I came to like Japan, and developed a strong desire to live here. Since 1996, I have spent roughly half my life in Japan. My wife is Japanese, and I have raised a family here. My life was changed by meeting a Japanese young man. I believe the effect that international exchange has on people's lives is immeasurable. 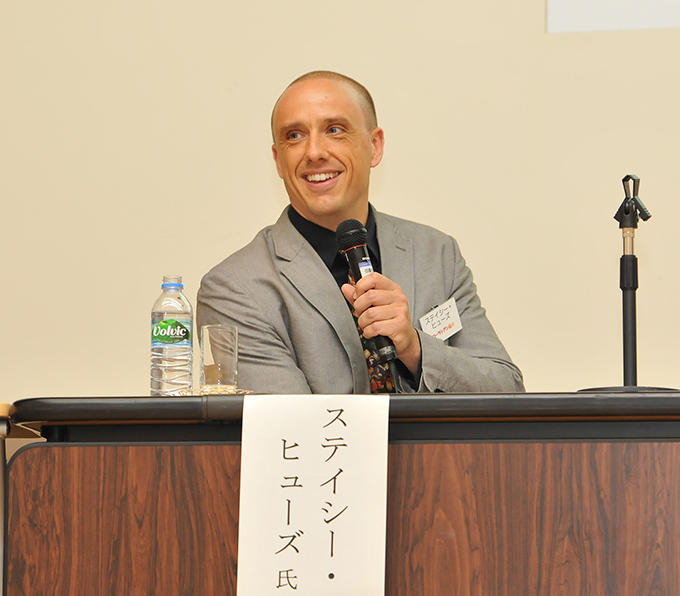 Matthew Sussman, Executive Director of Fulbright Japan, has lived in Japan since 1996. Currently I am the Executive Director of Fulbright Japan. Fulbright is an organization for the exchange of personnel with the mission of achieving mutual understanding between the United States and countries throughout the world that began right after WWII. One of our programs is the Fulbright Foreign Language Teaching Assistant Program in which participants teach their native language to students at U.S. universities while learning about America. The participants interact with American society, people, and culture, while introducing their own language and culture, in order to deepen mutual understanding. This is something we share with JOI. I call on those who participated in JOI to share and communicate about their experiences. In a broader sense this leads to world peace. Kobayashi : I participated in the JALEX program (the precursor of the JOI program) after graduating from university, and worked as a Japanese language teaching assistant at a high school in Indiana. Kanako Kobayashi has worked as a Japanese language teaching assistant at a public high school in Indiana. I have heard that some of the students I interacted with then later came to Japan under the JET Programme (a program to invite young college graduates from overseas to participate in international exchange work and be involved in foreign language education), ultimately working as ALT (assistant foreign language teachers) in Japanese public schools. If they became interested in Japan because they met a Japanese person while in high school, then it means that it was I that gave them that opportunity. The JOI coordinators also have an impact on the Americans they meet. I believe that grass-roots exchange brings about major results. Morishita: I work as an Assistant Professor in the Faculty of Global Culture and Communication at Aichi Shukutoku University teaching English and international understanding education, while also serving as a coordinator at the "NPO Internship Program" at the university's Center for International Programs that deploys students to educational institutions and welfare facilities in the Washington D.C. area. 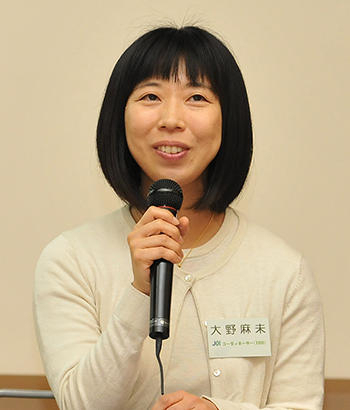 Kana Morishita worked as a JOI coordinator for two years beginning in 2009. The students that are deployed travel to the U.S. out of a strong desire to do something. However, when they arrive, they realize that what they can do on their own is quite limited. I myself received the assistance of many people when I spent time there as a JOI coordinator. I was able to complete the task with the support of numerous people. So as you see, international exchange starts and ends with people. Exchange is only possible when you and someone else are there. I believe the students deployed to the U.S. will realize this just as I did. Ono: There were many Japanese companies, and thus many Japanese residents, in Cincinnati, Ohio where I was sent, despite which there were many students who came in contact with Japan for the first time through me. Many played games made in Japan and had eaten sushi or ramen before, but that did not lead to an interest in Japan itself for them. The students looked to Japan for the first time after meeting me as an individual, which led to a desire on their part to visit Japan. Observing many similar cases, I developed a strong sense that it is meetings between individuals and mutual exchange that lead to deep bonds. 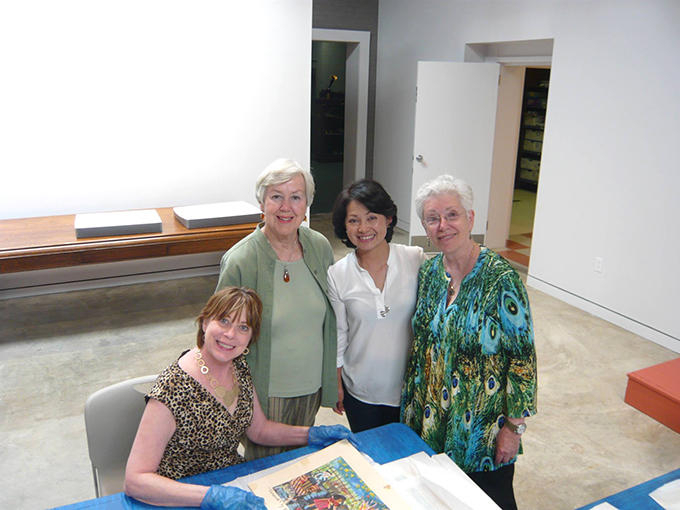 Asami Ono was deployed to the Japan America Society of Greater Cincinnati for two years beginning in 2011. Currently I teach English at a high school in Gifu prefecture. I have my students fill out a questionnaire every year, and I always include the question: Do you want to go overseas? Many students respond: It's not that I don't want to go, but I don't have an absolute desire to go. What I can do for them now is to speak to them of my JOI experiences in my own words. I believe that is related to today's theme of "The Value of International Exchange in the Community." Hughes: Today's theme is "The Value of International Exchange in the Community," but I would like to point out that tourists often do not travel to local regions and communities. I live near Monterey, California where there are many tourist spots and people from throughout the world. But those tourists don't visit the town of Salinas, which is only 15 minutes away by car. Many immigrants live there, and there is a problem with violence in the community, making it seem dangerous to people living in nearby areas. In the past, Japanese high school and university students participated in programs similar to JOI to stay at homes in Salinas. The Japanese students interacted with the local youths, and this experience had a great impact for local young people who become filled with a sense of pride when they are acknowledged by people from other countries. International exchange has an extremely positive effect on regional areas and communities. Stacy Hughes, who currently lives in California, previously resided in Japan for 10 years. There is also one more effect. Local youths develop a sense of familiarity with Japan by interacting with the Japanese students. This is not because they find Japanese culture interesting or because they like Japanese anime, but because of the positive feelings they develop for the Japanese students who acknowledge them. Friendship deepens because people come together and communicate with each other. This is one of the main purposes of exchange programs that reach areas where foreigners do not usually go. After hearing the statements of the five panelists on the symposium's theme of "The Value of International Exchange in the Community," Mari Maruyama gave the concluding remarks. 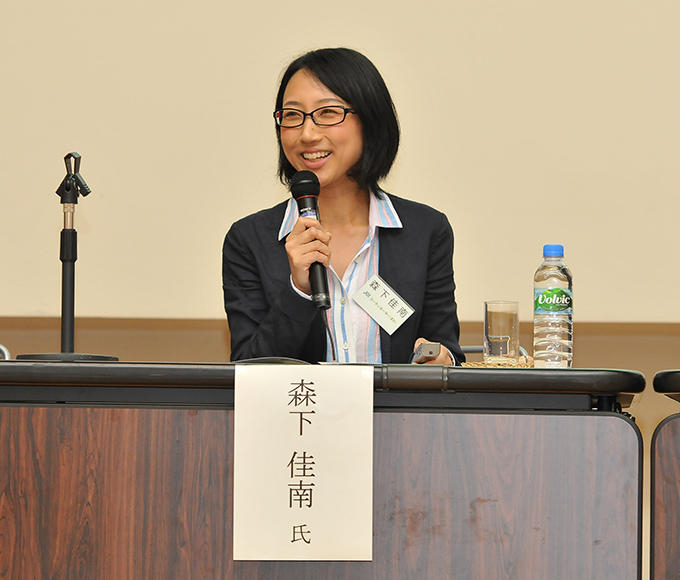 Mari Maruyama, Vice President of Laurasian Institution, served as the coordinator of the symposium. Maruyama: I felt there were commonalities in everyone's statements. Familiarity occurs when people come together and deepen their mutual understanding of each country and each other. That is likely the greatest benefit brought to communities through grass-roots exchange. 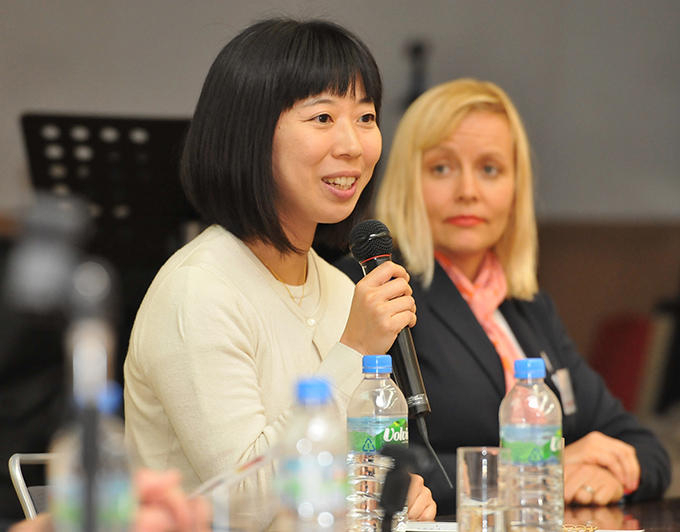 Mari Maruyama, Vice President of Laurasian Institution, became involved from the beginning in the launch of JOI and J-LEAP (Japanese language Education Assistant Program) cosponsored by the Japan Foundation. 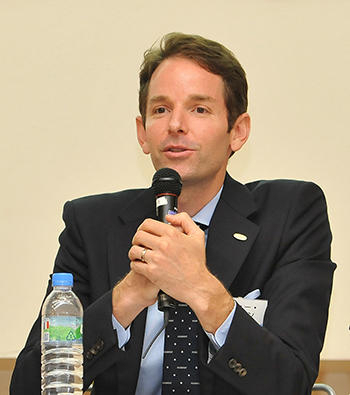 Matthew Sussman became the Executive Director of the Japan-U.S. Educational Commission at Fulbright Japan in 2014 after serving as the operations development manager and director at the International Cross-cultural Committee. Kanako Kobayashi worked as a Japanese-language teaching assistant at a public high school in Indiana with the JALEX Program, and has been working at the Tokyo office of Laurasian Institution since returning to Japan. 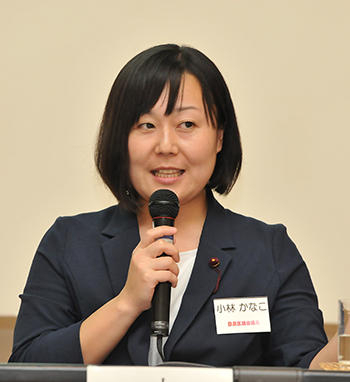 She was elected to the council of Meguro City in 2015. Kana Morishita went on to graduate school at Webster University after being deployed there as a coordinator for the JOI program. She currently teaches English and international understanding education in the Faculty of Global Culture and Communication at Aichi Shukutoku University. 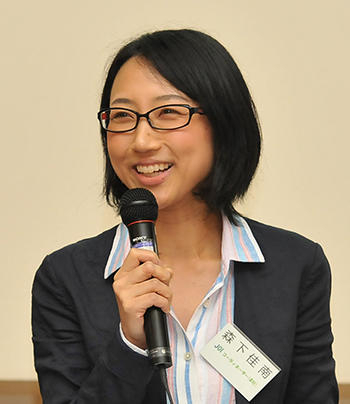 Asami Ono joined the JOI program after working as a teacher. She currently works as an English teacher at a high school in Gifu prefecture. She also serves as a volunteer at the Gifu International Youth Exchange Organization. Stacy Hughes is a resident of California who previously resided in Japan for ten years. He has worked as a coordinator of international exchange and educational programs at Laurasian Institution since 2013.